Sabots, rowboats, sailboats and more will be up for sale on Dec. 31. NEWPORT BEACH — The city of Newport Beach will make several vessels available for purchase as part of a boat auction; the auction will be held on Dec. 31. The auction will be held at Marina Park. 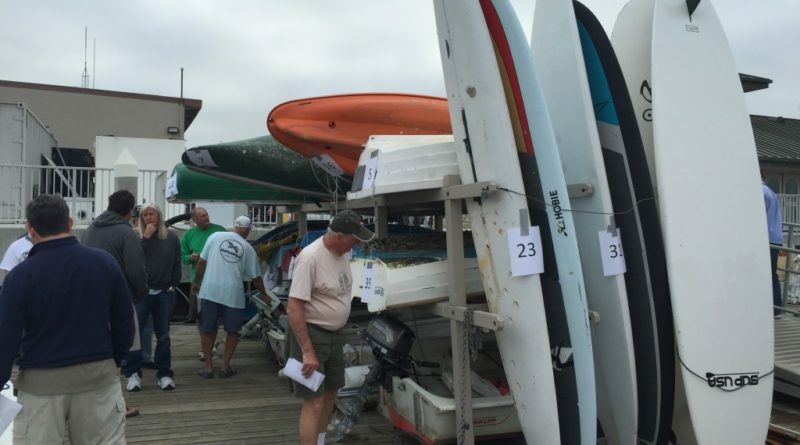 Several small vessels will be on the open market at the auction, such as a 25-foot sailboat, 17-foot Evinrude, 12-foot Whaler, a Duffy, 12 kayaks, two standup paddleboards and a dinghy with outboard. All vessels are considered abandoned and became city property. The auction will be at Marina Park, 1600 West Balboa Boulevard in Newport Beach. Viewing begins at 9 a.m. and continues for one hour. Auctioning begins at 10 a.m.
All vessels are sold as is and where is; the minimum bid varies by vessel. Payment must be in cash and made immediately after the auction. Contact Newport Beach’s Harbor Department at 949 270-8159 or harbormaster@newportbeachca.gov for more information.